MANILA, Philippines - The long journey for the National University (NU) Bulldogs to win UAAP men's basketball crown is finally over. The Bulldogs have defeated Far Eastern University (FEU) Tamaraws, 75-59 in the winners-take-all Game 3 of the UAAP Season 77 Finals on Wednesday, October 15, 2014 before the crowd in the Smart Araneta Coliseum. 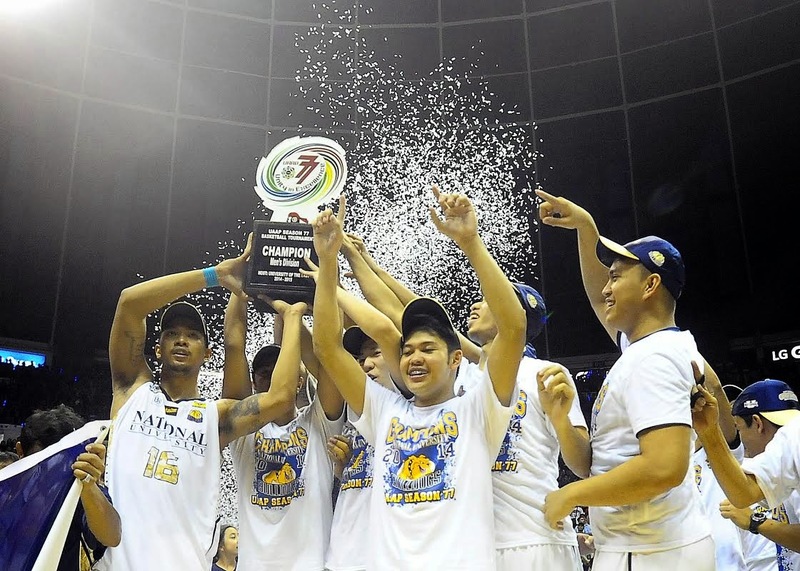 It was NU's historic win after 60-year championship drought in the UAAP. "It was really a long journey for us," NU head coach Eric Altamirano said. "But I think those playoff games helped us become stronger. The adversity that we went through, nagpalakas sa amin. Lalo kaming nagka-kumpyansa sa bawat isa. It really prepared us for Game 3." Finals Most Valuable Player (MVP) Alfred Aroga led all scorers with a career-high 24 points along with 18 rebounds, while point guard Gelo Alolino finished with 12 points and five boards. Mike Tolomia led FEU effort as he scored 23 points, while Mac Belo tossed in 17 points and grabbed 13 rebounds. NU 75 - Aroga 24, Alolino 12, Khobuntin 10, Alejandro 10, Neypes 8, Rosario 6, Diputado 5, Javelona 0, Beteyene 0, Perez 0, Salim 0. FEU 59 - Tolomia 23, Belo 17, Dennison 6, Cruz 4, Jose 4, Inigo 3, Hargrove 2, Tamsi 0, Pogoy 0, Ri. Escoto 0, Ru. Escoto 0, Ugsang 0.